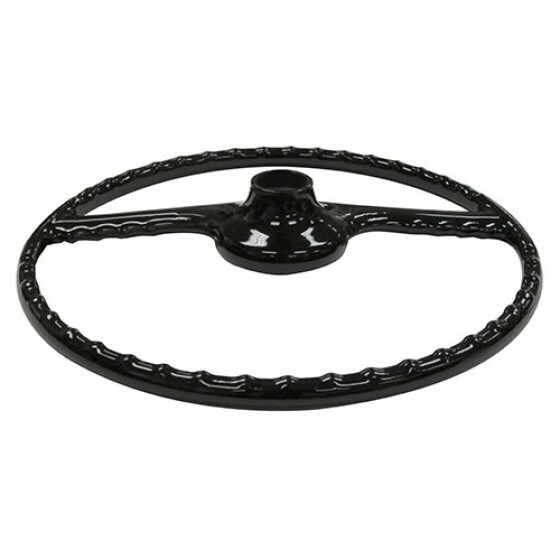 Brand new authentic reproduction black steering wheel. 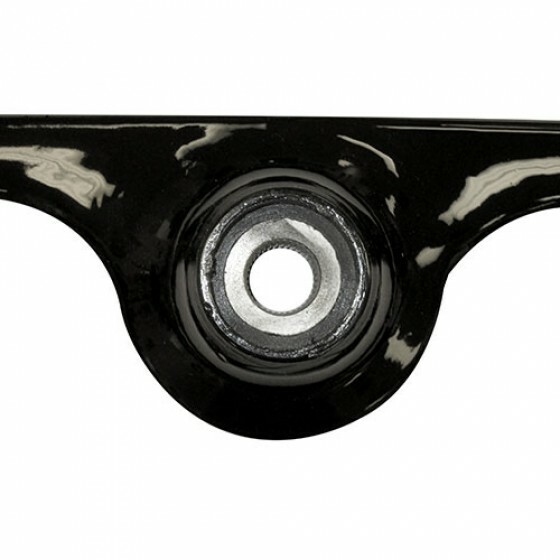 Replaces cracked, discolored wheels and mounts just like original. Highest quality available!! 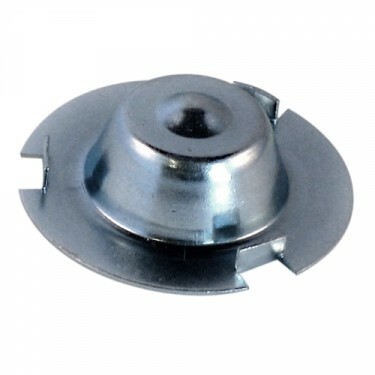 For horn button with 3-3/16" hole. Questions: My 61 truck has a badly cracked black steering wheel with a decent ivory horn button. I have no idea if either is original. 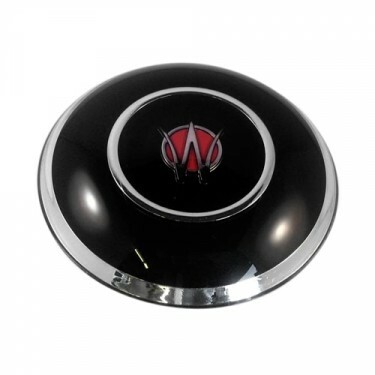 Did black wheels originally have black buttons and ivory wheels ivory buttons or where the button and wheels opposite colors? Even the ivory button or black button was contrast colored originally against the steering wheels. Questions: I have a 61 willys truck, steering wheel needs new center splines, is it possible, and is there a replacement kit? Sorry, only complete steering wheels are available. Questions: I have a GM steering shaft. Will this mount on the GM shaft? Do I need mounting kit? Its going on a 1962 Willys Wagon. 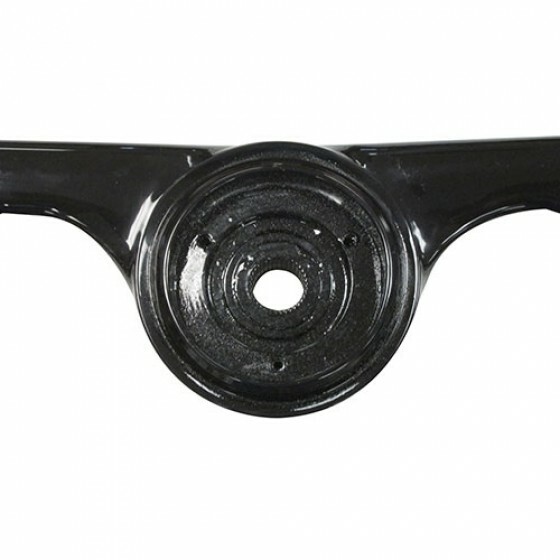 This is the steering wheel for 1950-64 Willys Truck, Station Wagon and Jeepster. If you have unoriginal parts on your vehicle im sure modification is possible. This would be something you will have to have done locally and modified. 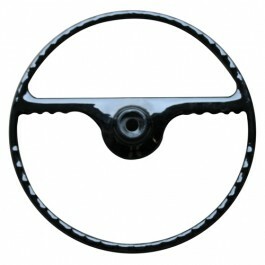 Questions: I have just received my new # 920206 steering wheel. What parts do I need to install including horn button and wireing? 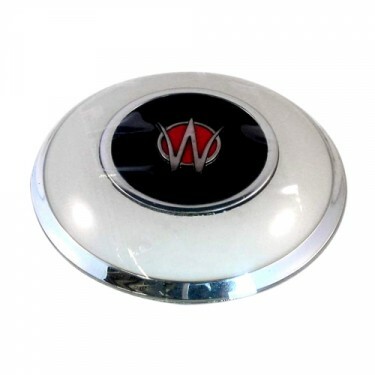 We have the horn button cushions, pins, and inner cup and outer horn button. Please call us toll free. We can help. Questions: Hey!, I'm looking for a Horn for a '55 Willy's Jeep. Would this one fit on mine? 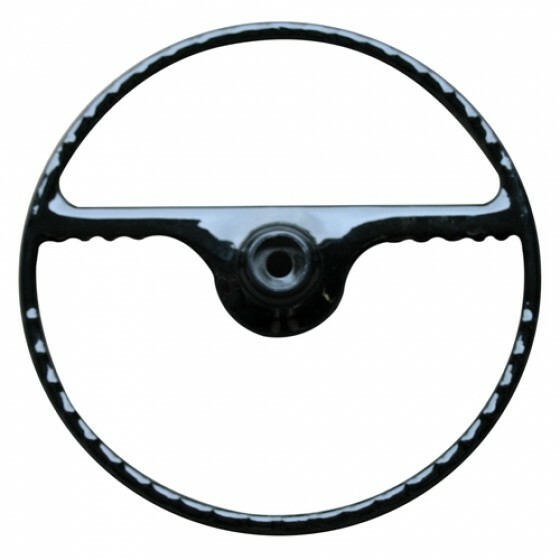 This is the proper steering wheel for you. I can get horns too. Please call me toll free.